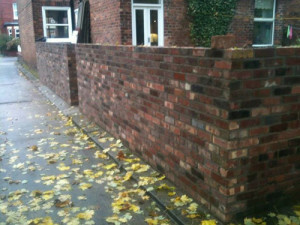 Trafford Builders, Groundworks specialists in Manchester. We can advise on the groundworks Trafford construction projects need carrying out – and it’s about more than just putting firm foundations in place. Depending on the type of construction, whether it is a simple internal refurbishment or RSJ installation, or an extension to the rear of a property (or any other side, for that matter), the precise type of groundworks you need might vary. In general, any construction work on the ground floor of your property will require firm foundations to be in place. This can mean digging trenches and filling them with concrete, but it might require more extensive work to prepare the entire under-floor surface, removing any vegetation and loose topsoil to ensure the most solid surface possible is being used. The position of your foundations is another key aspect of the groundworks Trafford properties need carried out, and often you and your builders are the only people who check these upfront. 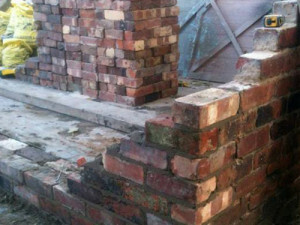 The experienced Trafford Builders team will help you to make sure any work carried out is at the right distance from the boundary line or existing buildings, and takes into account any other restrictions as necessary. Modern groundworks must consider drainage too, and whether you need natural drainage, artificial channels or a soakaway, Trafford Builders can once again factor these into your groundworks, so that you do not face the inconvenience of having to retrospectively install extra drainage channels. Finally, we can help you to make sure all of the necessary services and utilities are incorporated into your groundworks, including gas, electricity cables and telephony. Doing this upfront avoids the inconvenience of having to dig up the ground to have utilities installed later, which in turn helps to save on the monetary expense of having your property connected to the grid.